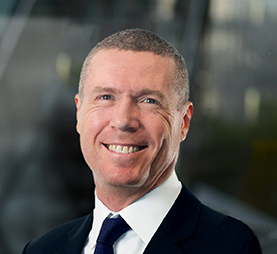 Clive is Chair of the Investment and Divestment Asia Committee and a member of the InfraCo Asia Board. He is currently President of Vestas Asia Pacific, and prior to that was CEO for Asia Power Development Platform. Clive is highly regarded as an infrastructure sector professional in Asia and possesses a wealth of knowledge and experience across project development, financing and capital transactions. He has been involved in a large number of Asia’s major power transactions as advisor, financier or developer during his 20-year career, including some of Asia’s largest cross-border M&A transactions. He has a Bachelor of Arts and Bachelor of Laws (Hons.) degrees from the Australian National University.